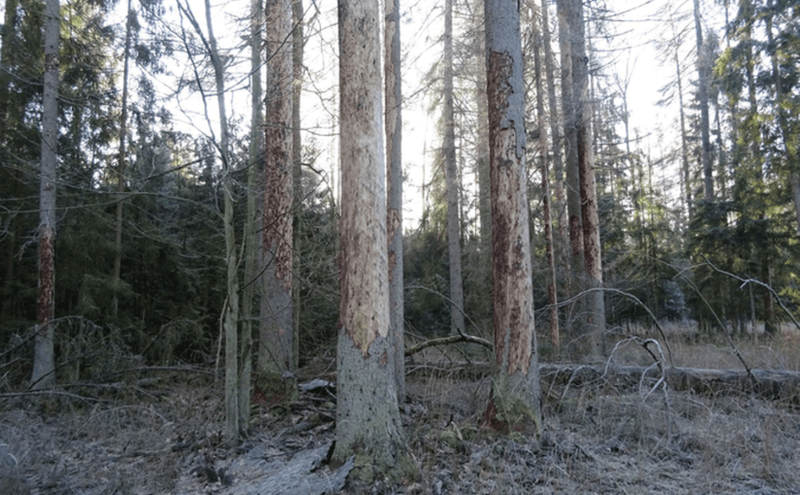 Managing state forests responsibly – how do they do it in Latvia? 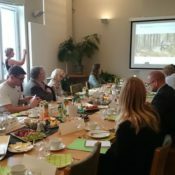 “Forests for People” is the new video prepared by the Latvian State Forests (LVM) to explain sustainable and multifunctional forest management for the benefit of people, climate and nature to a broad audience. You can watch it by clicking on the image below. 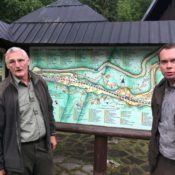 On 28-30 June 2017 Piotr Borkowski, EUSTAFOR’s Executive Director, visited Lesy Slovenskiej republiky (Lesy SR). It was a great opportunity to exchange views and strengthen cooperation. 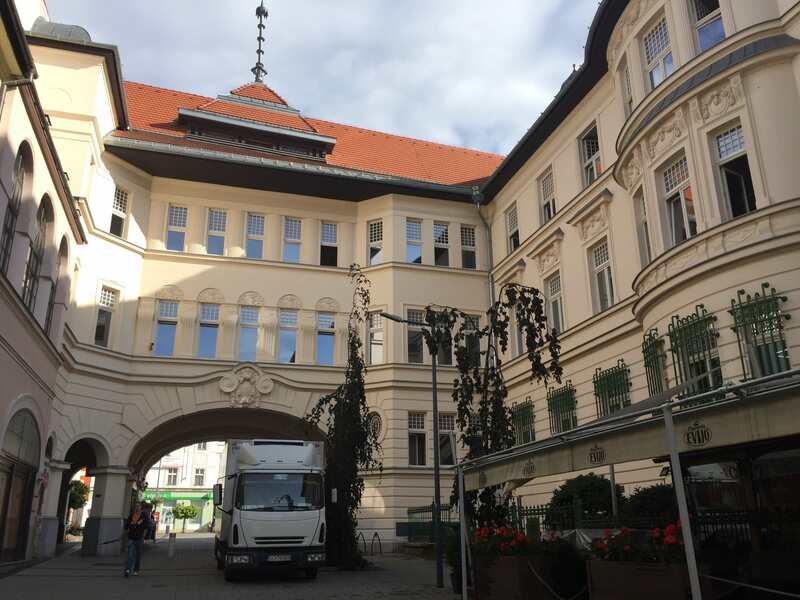 The visit started at the organization’s headquarters in Banská Bystrica, Slovakia, where a meeting took place with Marian Staník, Director General, and other members of the Lesy SR management team – Josef Bystriansky, René Kozáčik and Ľuboš Németh as well as František Král, Advisor to the CEO and EUSTAFOR’s focal point. 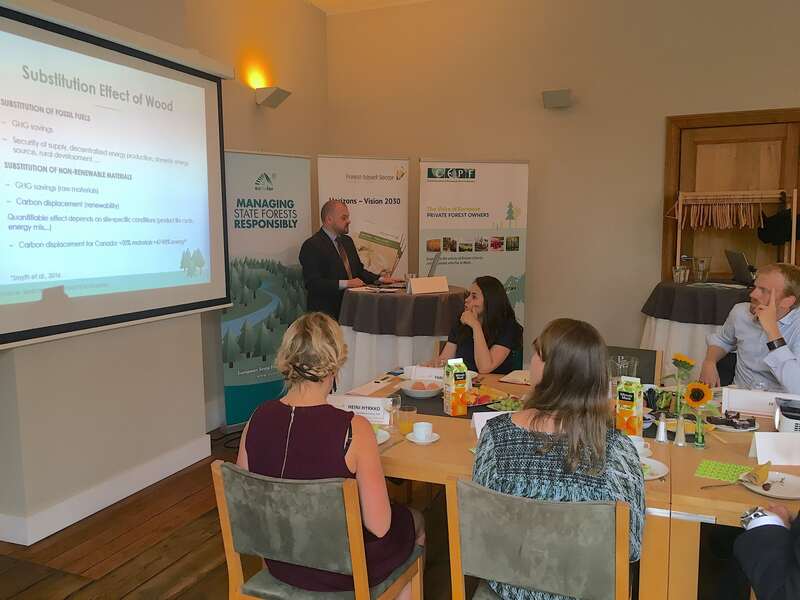 In Banská Bystrica the Executive Director followed a comprehensive presentation of Slovak forestry and the role of Lesy SR in the management of state forest estates (link). 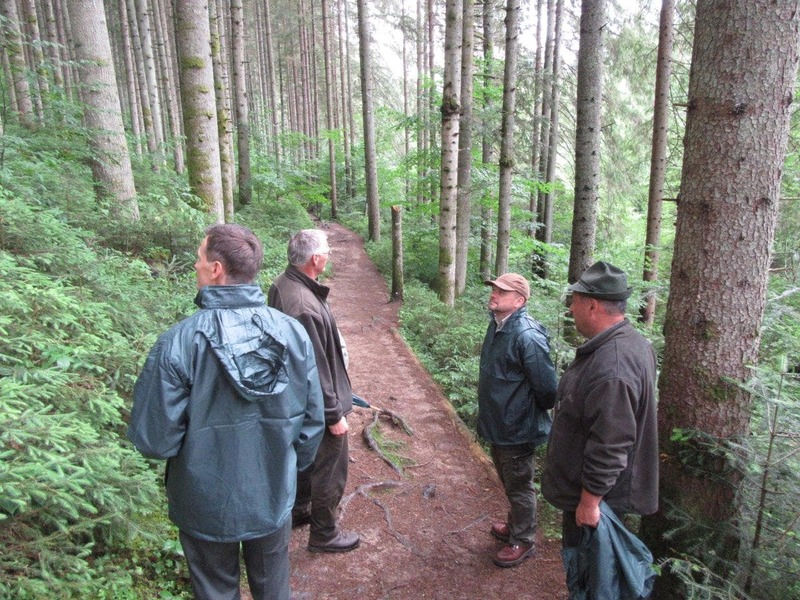 In Slovakia, state forestry shares up to 40% of the total forest area. Lesy SR was established on 1 July 1999 in its current organizational and legal form. Its organizational structure of over 3500 individuals has 3 levels (General Directorate, 23 Forest Branches divided into 130 forest superintendencies and 968 forest districts). The business portfolio of Lesy SR embraces forest management, game management, fishery, vineyards, horse and bison breeding as well as maintaining touristic and educational facilities. 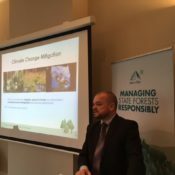 Piotr Borkowski presented the management of Lesy SR with an overview of EUSTAFOR’s objectives and activities as well as an overview of current policy challenges (link). Practical aspects were presented during the field visit to Chopok (alt. 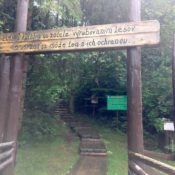 2,024 m) which boasts a new touristic infrastructure. 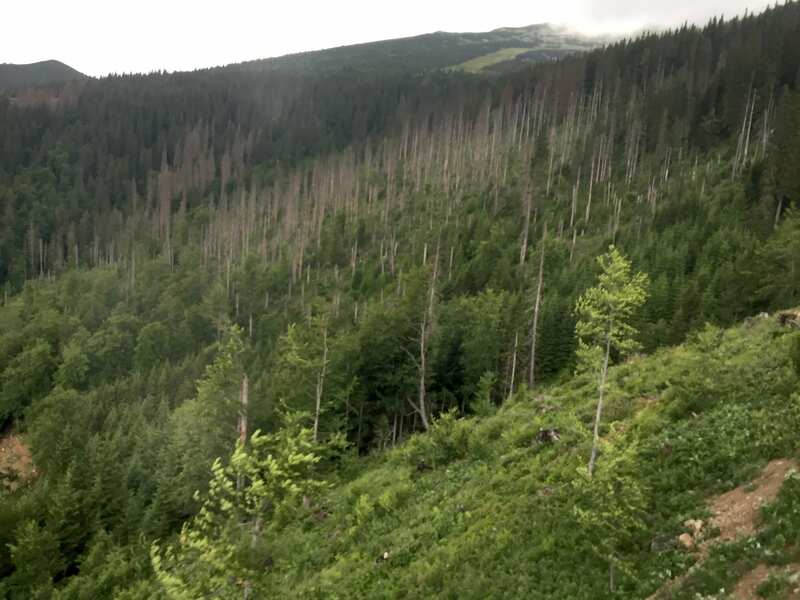 Spruce stands in the Tatra Mountains increasingly suffer from bark beetle infestation which is clearly visible in the dieback of groups of trees. The infestation develops in forest stands suffering from extreme whether phenomena caused, most probably, by changing climate. Its eradication is difficult due to the environmental NGOs which are pushing for a ‘non-intervention’ approach. 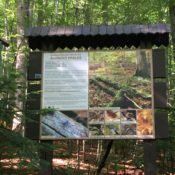 The Forestry Open-Air Museum in Vydrovo offers a unique demonstration of cultural and educational aspects of state forestry. 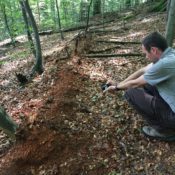 A practical demonstration of how state forest management organizations can benefit from financial support from the European Agricultural Fund for Rural Development (EAFRD) for measures related to forest road construction and renovation took place in the Poľana forest superintedency. 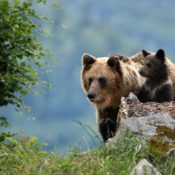 The first day ended in the Kyslinky forest superintedency with a program focused on monitoring wildlife – brown bear watching – in the Protected Landscape Area of Poľana. 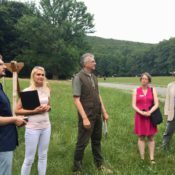 On the following day, close to nature forestry aspects were presented at primeval forest of Badín – which was the last point of the visit. 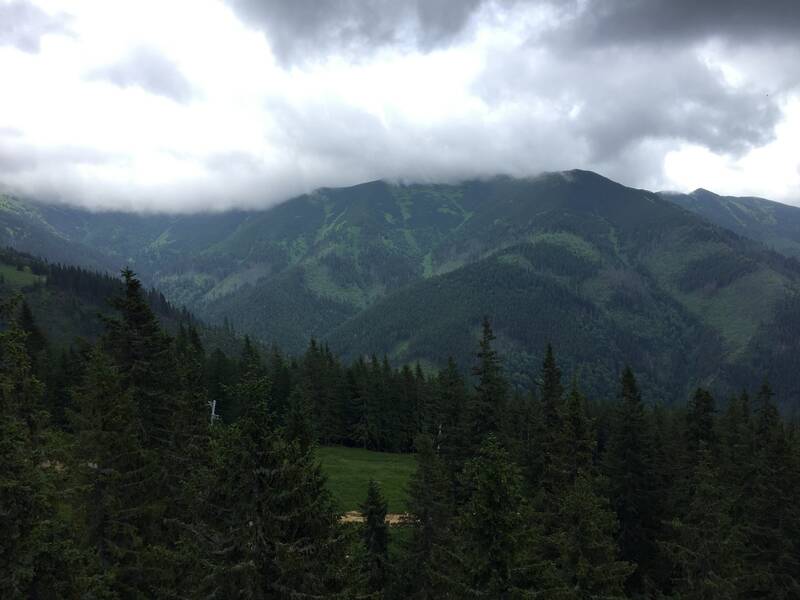 The latest EUSTAFOR Executive Committee was hosted by Romsilva, back-to-back with the State Forest Conference in Poiana Braşov. 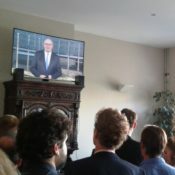 The ExCom followed up on recent policy developments and made several key decisions for EUSTAFOR. The ExCom decided that it is essential to strengthen the association’s communications with additional resources and approved the Terms of Reference for the Communications Director project. 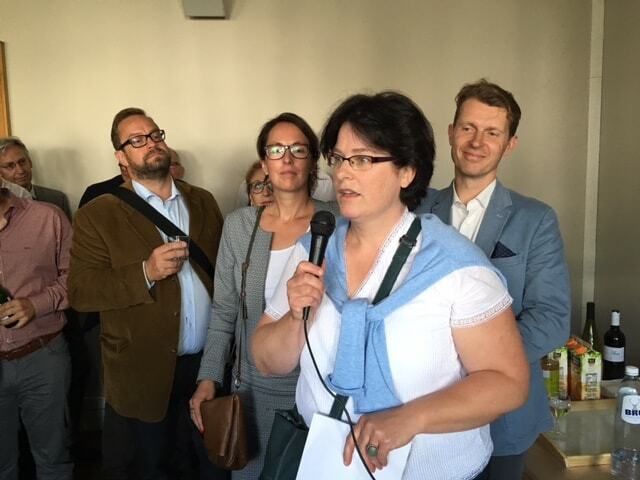 The ExCom appointed Ann-Britt Edfast, R&D Director of Sveaskog, as the EUSTAFOR representative for the FTP Board, in addition to the Executive Director. 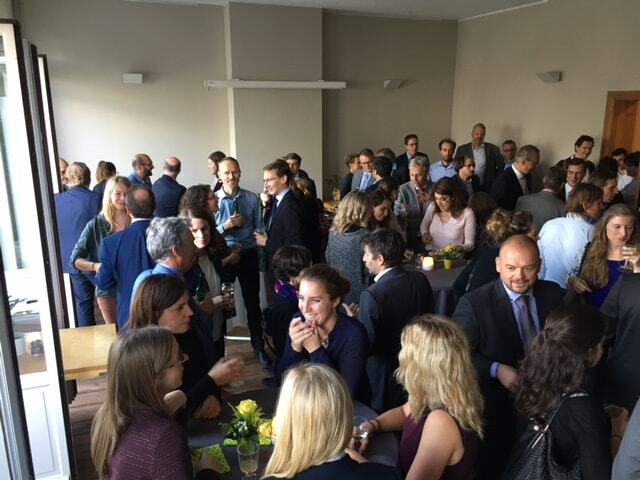 Finally, the ExCom established a back-up group to support the Executive Office in Brussels on a variety of policy topics. 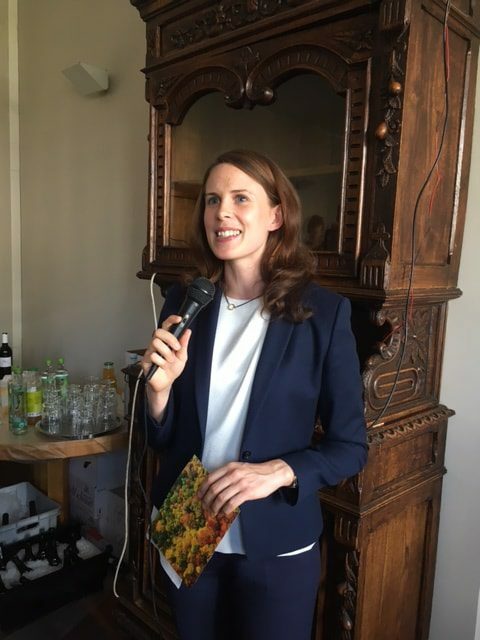 The following experts were appointed: Ciarán Fallon (Coillte), Lena Bruce and Olof Johanson (Sveaskog), Pauline Camus (ONF), Marta Gaworska (Lasy Panstwowe), Roland Kautz and Alexander Horst (OBf), Johanna Leinonen (Metsähallitus), Adrian Oprea (Romsilva), Johannes Wurm (BaySF) and Josef Svoboda (LCR). 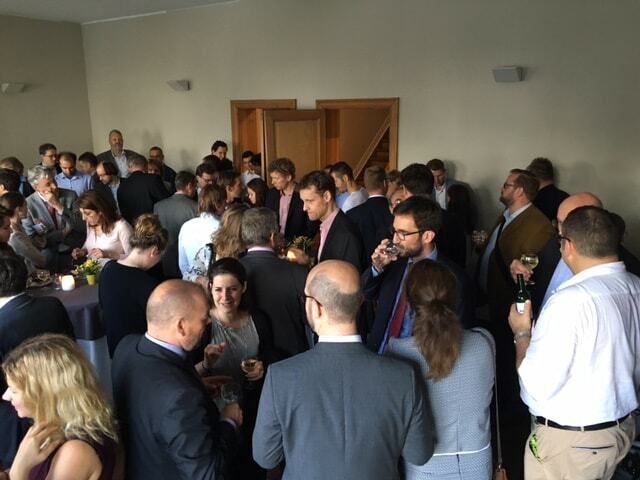 Experts from other organizations are welcome to join, subject to their availability and interest. The ExCom has regretfully accepted the resignation of Natural Resource Wales, effective as of 31 December 2017, while gladly welcoming as a new member the Forest Service of Catalonia as from 01 January 2018. 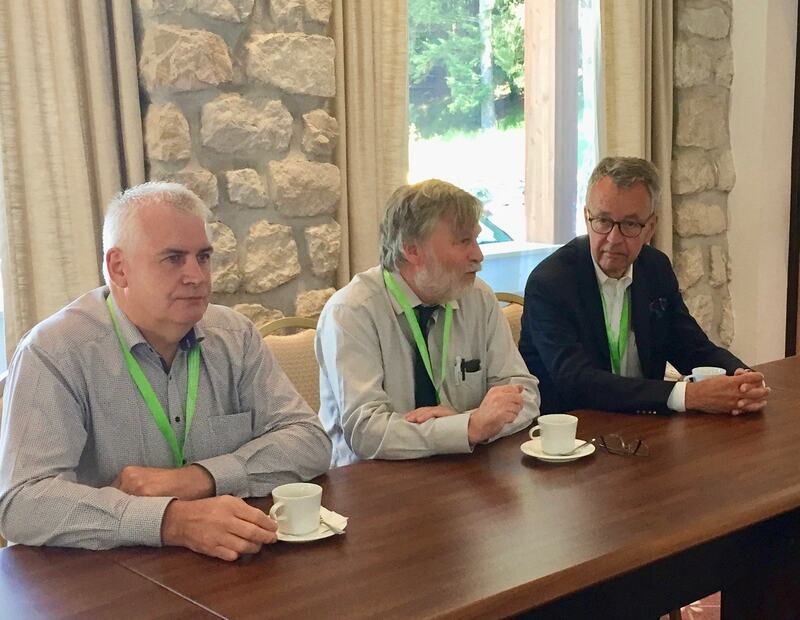 The SFC in Poiana Braşov provided an occasion for EUSTAFOR’s President to meet informally with the delegation of the Northern Ireland Forest Service (NIFS) (member as of 2017) to discuss areas of common interest and the workable means of successful co-operation. The agenda, minutes and annexes of the meeting are available at this link. Mapping and Assessment of Ecosystems and their Services: opportunity or threat for forest managers? 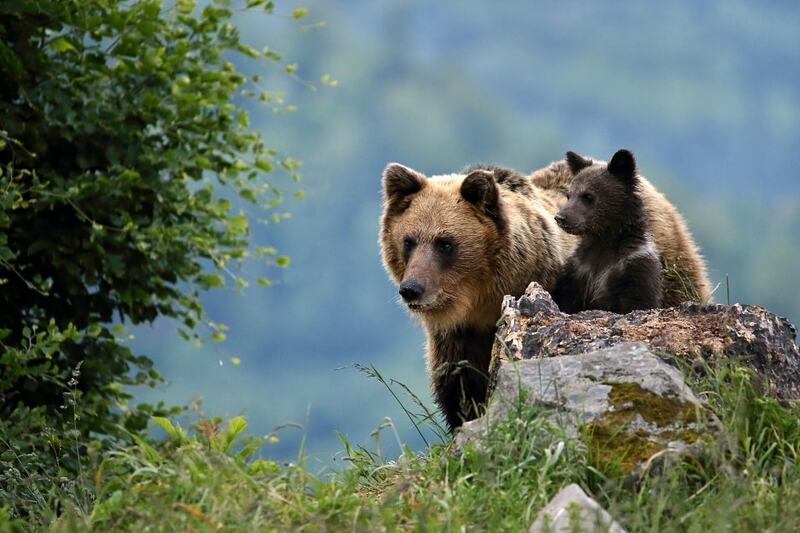 MAES (Mapping and Assessment of Ecosystem Services) is an initiative of the European Commission in support of the implementation of the EU Biodiversity Strategy, which outlines a number of targets and action for preventing biodiversity losses. 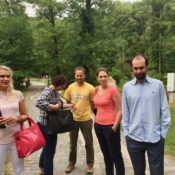 EUSTAFOR was invited to attend a workshop of the MAES Forest Pilot on ecosystem condition, which was held on 27-28 June 2017. 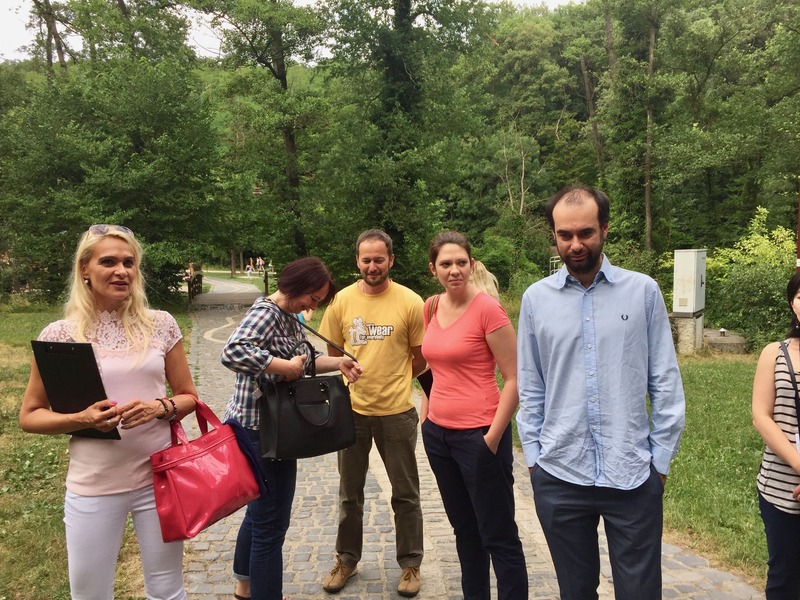 Several pilots have been identified according to different ecosystems, and the aim of the pilot was to elaborate an assessment framework (conceptual and analytical) on forest ecosystem condition in Europe. 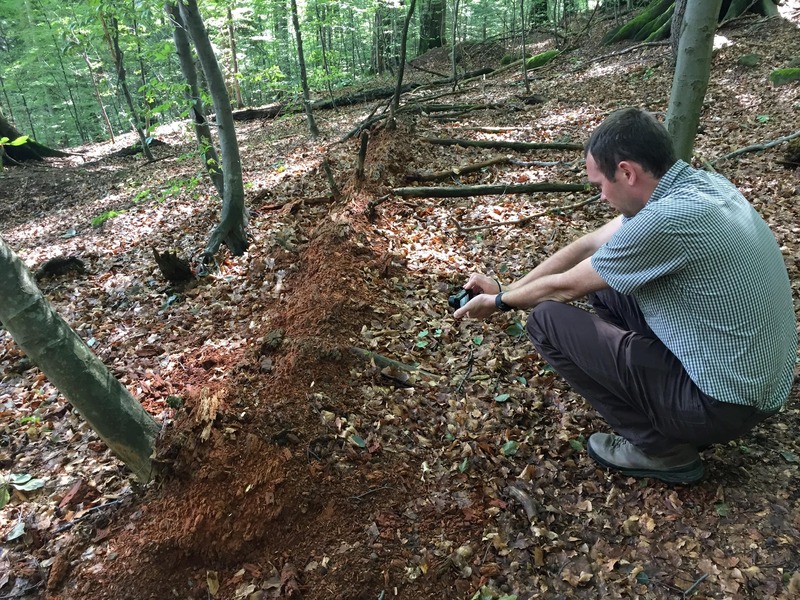 The framework will contribute to the overarching goal of the Pilot, which is to identify an array of forest condition indicators and corresponding datasets (see news from the previous eustafor.express). 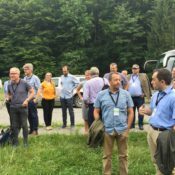 EUSTAFOR was invited to attend a workshop of the MAES Forest Pilot on ecosystem condition, which was held on 27-28 June 2017. The workshop was attended by Member States and other stakeholder representatives and by representatives DG-Environment (D1 and D2), Joint Research Centre (D1), European Environment Agency (EEA), European Topic Centre on Biological Diversity (ETC-BD), European Topic Centre on Urban, Land and Soil Ecosystems (ETC-ULS). Salvatore Martire, from EUSTAFOR’s Executive Office, attended the workshop on behalf of EUSTAFOR. During the meeting a background paper was provided that explained the methodological framework chosen (see presentation). During the workshop, indicators for the different ecosystems were discussed (see presentation 1, presentation 2 about forest ecosystems). The objective of the Commission is to design an integrated framework focused on biodiversity that could be used in several policy areas. The first gap identified was in relation to climate change, as it was not taken into account in the framework. Also missing was a reflection on the proposed methodological framework with regard to its flexibility to adapt to a dynamic system. The discussion during the workshop focused mainly on the indicators for the Drivers-Pressure-System-Impacts-Response (DPSIR) model, rather than on the model itself, and what it implies concerning the choice of a certain methodological framework over others. The Commission expects to apply the framework with real data in 2018 with a view to deliver an integrated assessment of the state of ecosystems and their services in the EU in 2019. 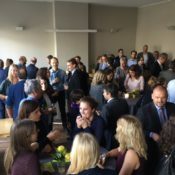 Following further written feedback from workshop participants, and from the members of the MAES Working Group at their next meeting on 13 September, the objective is to publish, by the end of the year, a 5th MAES Report on an analytical framework for ecosystem condition for mapping and assessment. 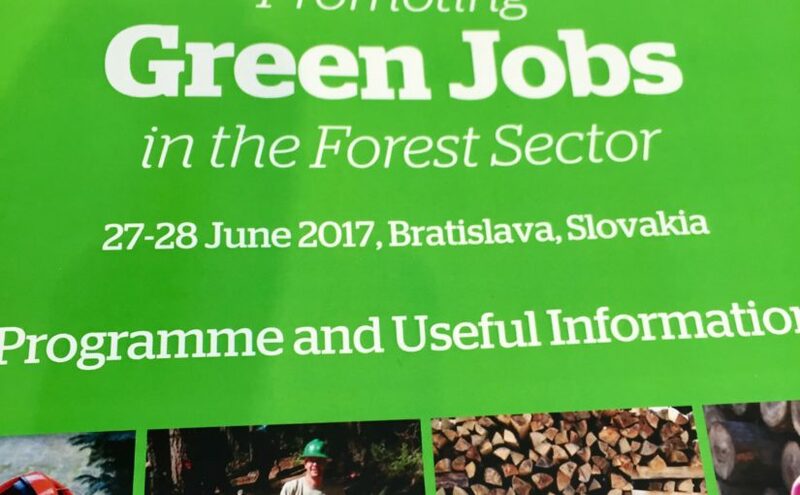 On 27-28 June 2017 in Bratislava, Slovakia, FOREST EUROPE, UNECE and FAO jointly hosted a workshop on “Promoting Green Jobs in the Forest Sector,” in an effort to enhance the contribution of the forest sector to the green economy. 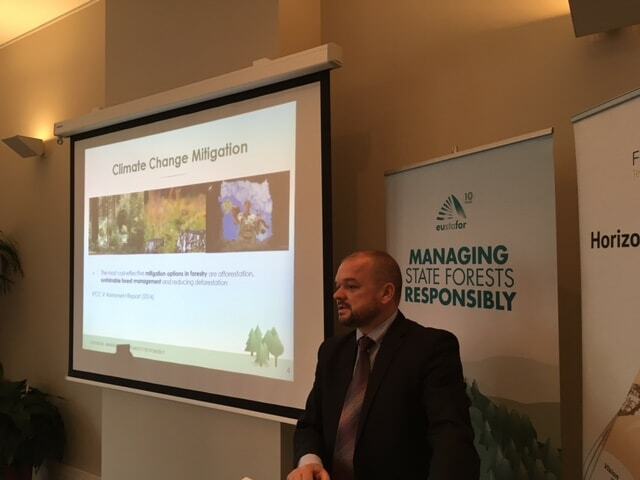 Piotr Borkowski, Executive Director, was one of the panelists and shared the views and experiences of state forests. 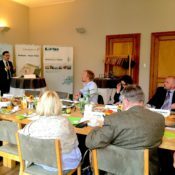 The workshop was organized within a framework of the EU Green Week 2017, which focused on explaining how EU environmental policies create green jobs and contribute to sustainable and socially responsible economic growth. The workshop aimed at sharing lessons learned and stimulate discussions among relevant partners from within and outside the forest sector on the promotion of green jobs and the development of new skills for the forest sector, while supporting sustainable development and the transition towards a green economy. It discussed possible countermeasures to improve the sustainability of the existing workforce as well as the creation of new employment opportunities in the forest sector in line with the concept of green jobs. Trends of green jobs in the forest sector: are they becoming greener and more decent? What are major gaps or shortcomings? Can we adapt existing jobs in the forest sector to fit the concept of green jobs? Identification of new skills required, e.g. through sectoral skill councils or other mechanisms. 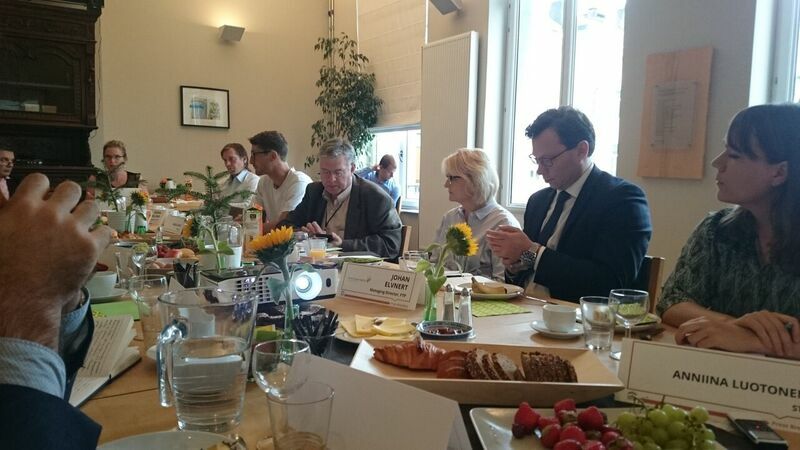 The forest sector plays an important role in the transition towards a green economy in the pan-European region. Greening the economy offers opportunities for economic prosperity, environmental protection and social inclusion, and can contribute to the implementation of the 2030 Agenda for Sustainable Development adopted by the United Nations General Assembly in 2015. 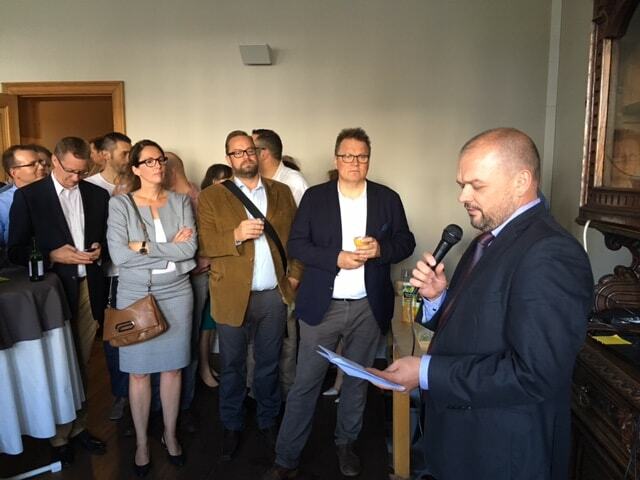 The workshop was a contribution to the implementation of the Madrid Ministerial Resolution 1 and the Rovaniemi Action Plan. 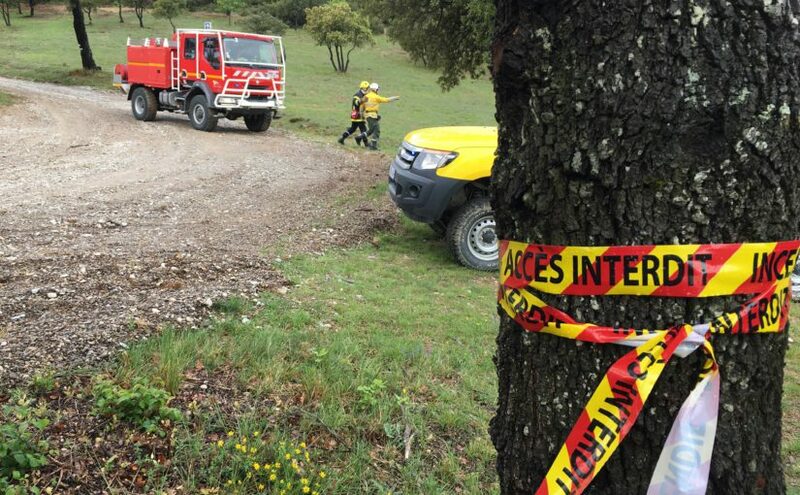 Welcome to the Forest Service of Catalonia! 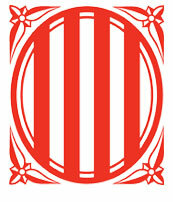 EUSTAFOR welcomes the Forest Service of Catalonia as an Associate Member, first from Spain, as of 1 January 2018. 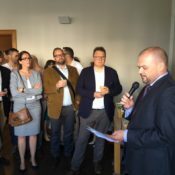 The Executive Committee approved the application from Catalonia at its meeting on 12 June 2017 in Poiana Braşov. 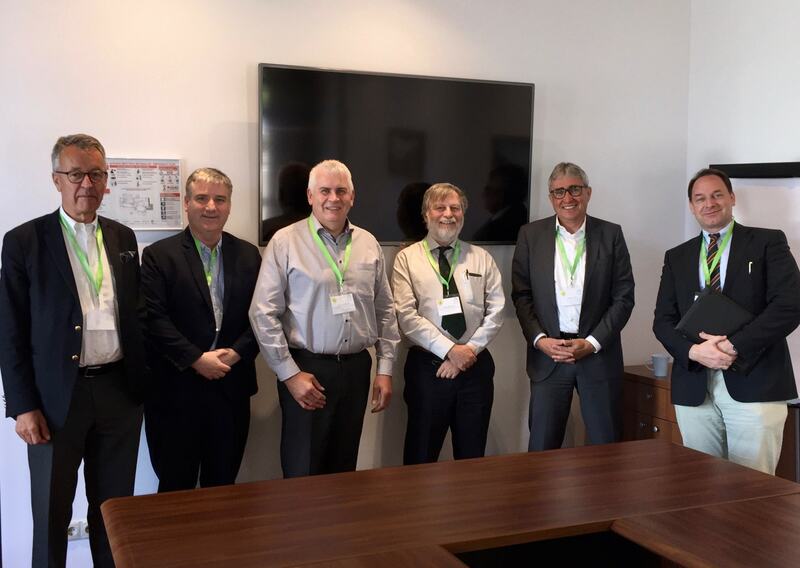 The Executive Director met with experts of the Forest Service of Catalonia during in the forest fire workshop organized by ONF on 26.27 April 2017 in Aix en Provence (link). Catalonia’s active participation in the the workshop, rich program and the relevance of the topics discussed were a good basis for further discussing EUSTAFOR membership with the Forest Service of Catalonia. To coordinate actions in the field of forestry and livestock services and livestock and grassland paths, and establish the promotion and control actions for the improvement of forest lands and the rational use and production of forests and pastures. To promote actions for the adaptation of forest ecosystems to climate change and biodiversity. We gladly welcome our Catalonian colleagues to the EUSTAFOR family and look forward to an excellent further cooperation with them. 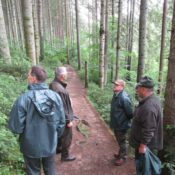 The latest Civil Dialogue Group (CDG) on Forestry and Cork, of which EUSTAFOR is member, was held on 8 June 2017. 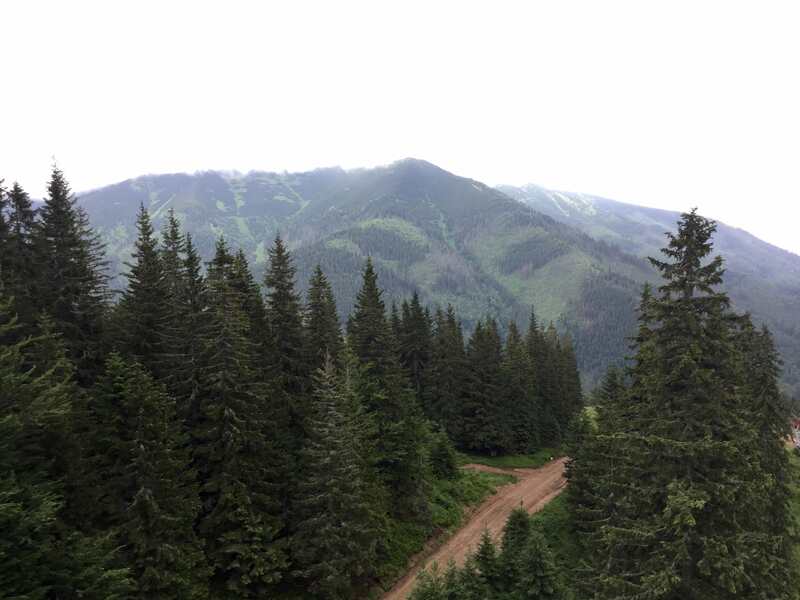 It adopted resolutions to expand the scope of products covered by the EU Timber Regulation and to recognize the role of forestry in the future Common Agricultural Policy. The SDG adopted two resolutions. 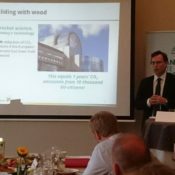 The first asks the Commission to expand the scope of products covered by the EU Timber Regulation in order to include all wood-based products, such as printed products and those related to energy use. 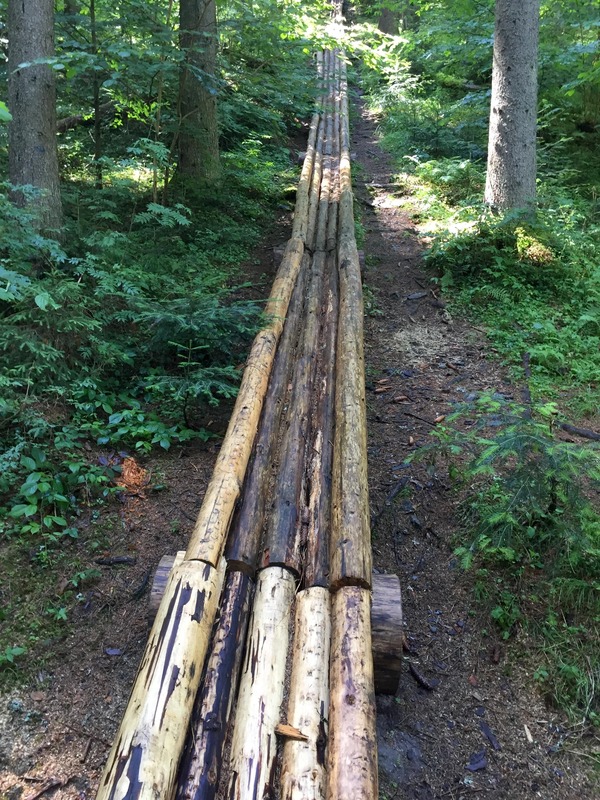 Expanding the scope to all wood products would ensure a level playing field for European industry, contractors and forest owners in addressing the main objective of the regulation: curbing illegal logging. (read the full resolution). The second resolution calls for a future Common Agricultural Policy that aims to recognize the three pillars of sustainable management, including the sustainable development of rural areas, by providing support for forestry measures on investments, training, advisory services, innovation, environment and climate. (read the full resolution). 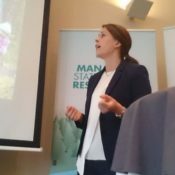 the EUFORGEN Programme and the Pan-European strategy for genetic conservation of forest trees (presentation). 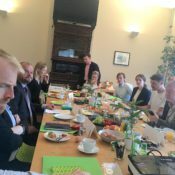 Finally, the meeting touched upon the recast of the Renewable Energy Directive (more information) and, in this context, the Draft Opinion produced by MEP Bas Eickhout (Greens/NL), the Rapporteur of the ENVI Committee of the European Parliament. 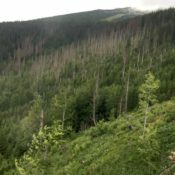 Even if there was no room for discussion, a representative from the Commission (DG ENER) stated that the draft EP opinion proposes an unrealistic and hardly implementable system for assessing the sustainability of forest biomass. 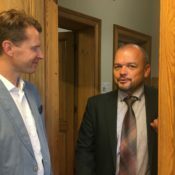 EUSTAFOR has already prepared its comments to the report in consultation with EUSTAFOR’s Executive Committee and policy experts from its member organizations. 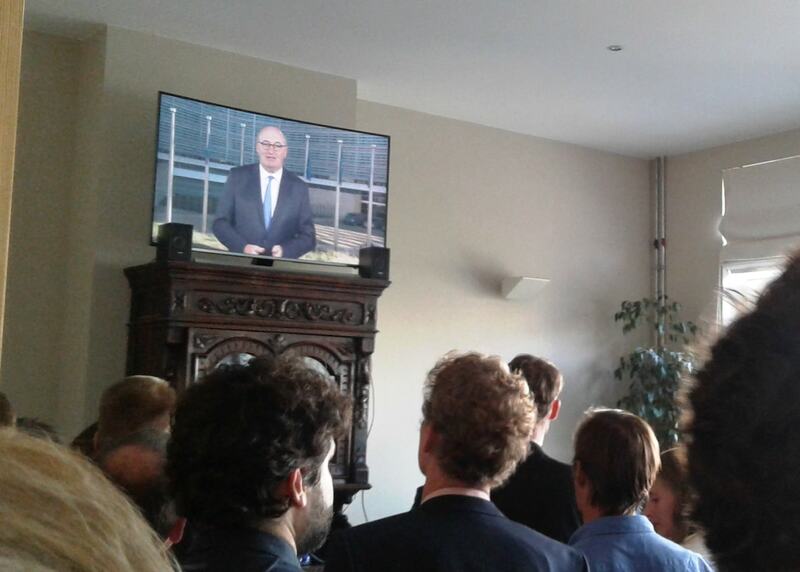 The document (link) is handled confidentially and is used informally at meetings with EU experts and policy makers. The debate is expected to continue in fall 2017. The positive impact and potential of sustainable forestry in climate and energy policies should be better recognized, claimed forestry experts at a press breakfast organized at the European Forestry House on 12 July 2017, the day after the European Parliament’s Environmental Committee (ENVI) voted on the regulation of greenhouse gas emissions and removals from the Land Use, Land-Use Change and Forestry (LULUCF) sector post-2020. 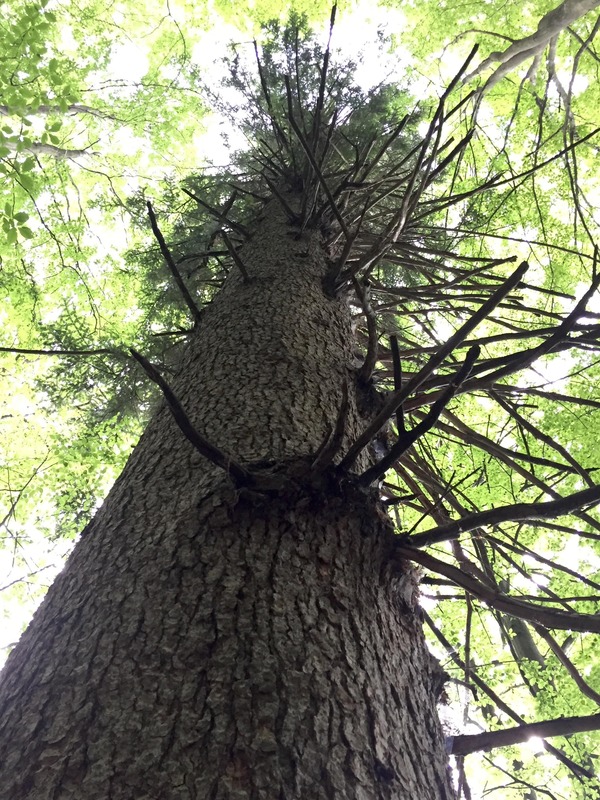 The ENVI vote brings new obstacles rather than taking advantage of forestry’s full potential. 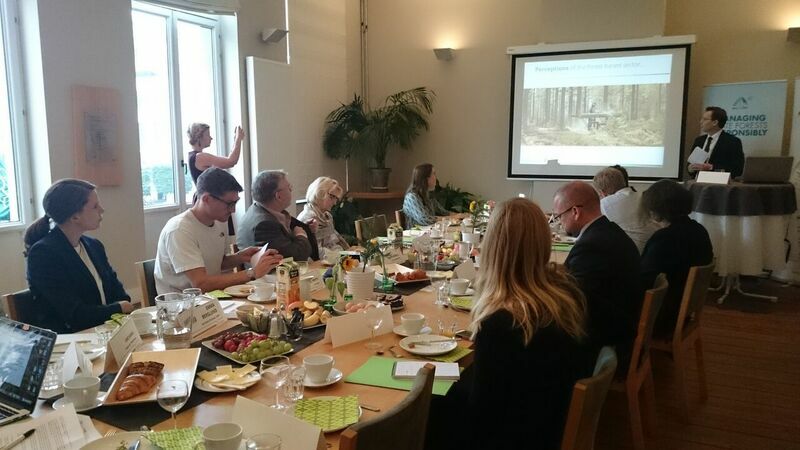 The highly successful event was organized by 3 organizations of the European Forestry House – the Confederation of European Forest Owners (CEPF), the European State Forest Association (EUSTAFOR) and the Forest-based Sector Technology Platform (FTP) – which are determined to reach out to journalists in order to expand the messages of the forest-based sector in the general media. Sustainably managed forests and its renewable products are not the cause of climate change. Rather, they are part of the solution to combat it. 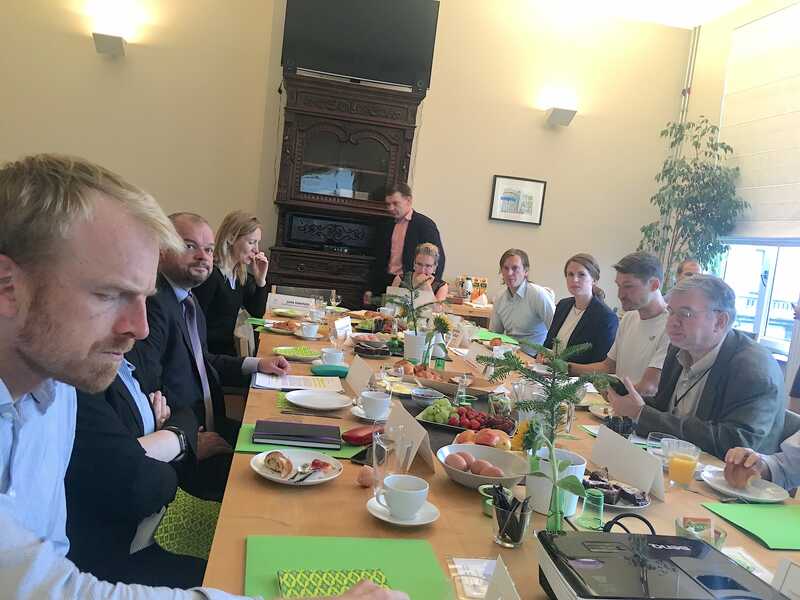 At the press breakfast, journalists had a wide range of questions, ranging from the possible impact of the EP vote on the forest and forest-based sector to the latest innovations and development in the forest-based sector. 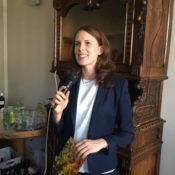 Emma Berglund, Secretary General of CEPF commented on the recent vote by the EP’s ENVI Committee on its LULUCF report, saying that the forest sector was disappointed with the result. 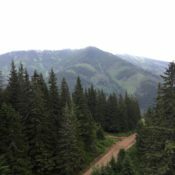 The most crucial issue in the robust system of accounting emissions and removals from forests is a properly defined Forest Reference Level. 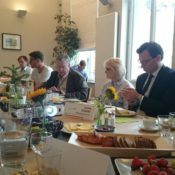 Unfortunately, the ENVI Committee has kept to a narrow view on the role of forests in climate change mitigation and adaptation and does not exploit the full sustainable potential of forestry to build up the bio-based economy and replace fossil fuels. The ENVI Committee’s views are also in contradiction with the EU Forest Strategy, which stresses the multifunctional role of forests and the multiple benefits they provide. 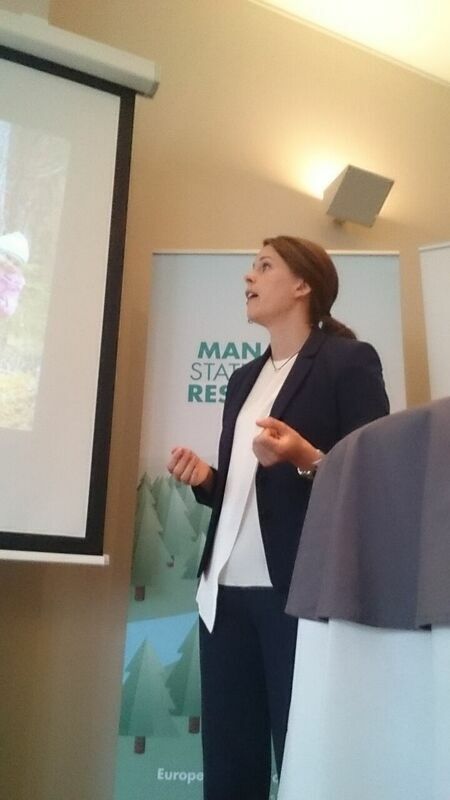 Ms. Berglund explained the three basic ways in which forests help to fight climate change: (1) Growing forests sequester CO2; (2) Forests and their wood products act as a carbon store; (3) Biomass substitutes for fossil fuels and other energy-intensive materials. 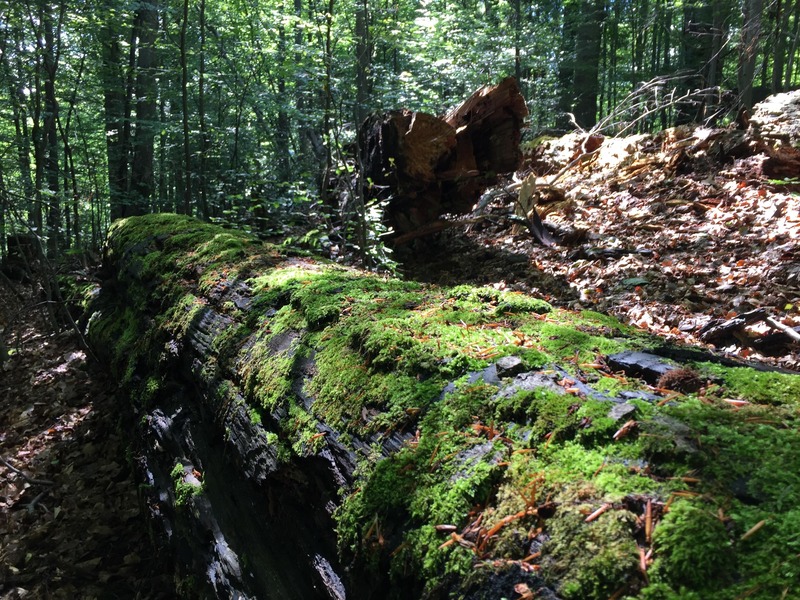 Forests in the EU are a growing resource which today amounts to around 185 million hectares. The forest area has increased by 10 million hectares over the last 25 years, which is comparable to the size of forests in Germany. 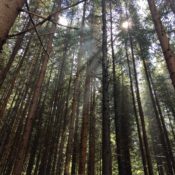 At the same time, the growing stock of EU forests has increased by 1/3. 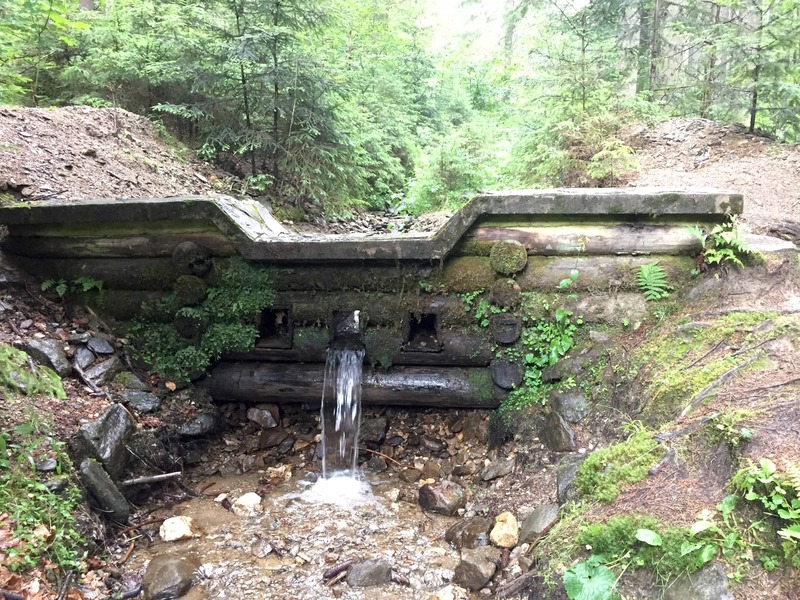 This proves that European forests have been managed sustainably. 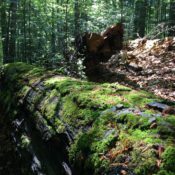 The risk-based approach proposed by the European Commission to assess sustainable sourcing of forest biomass in the Renewable Energy Directive recast (RED2) is acceptable, as long as it does not interfere with the national legislation on forests and does not negatively impact the EU’s subsidiarity principle. 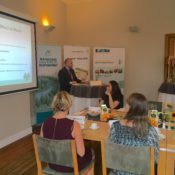 Mr. Borkowski questioned the need to burden forestry with a new set of sustainability criteria because forest management is already highly regulated by the national legislations of Member States. 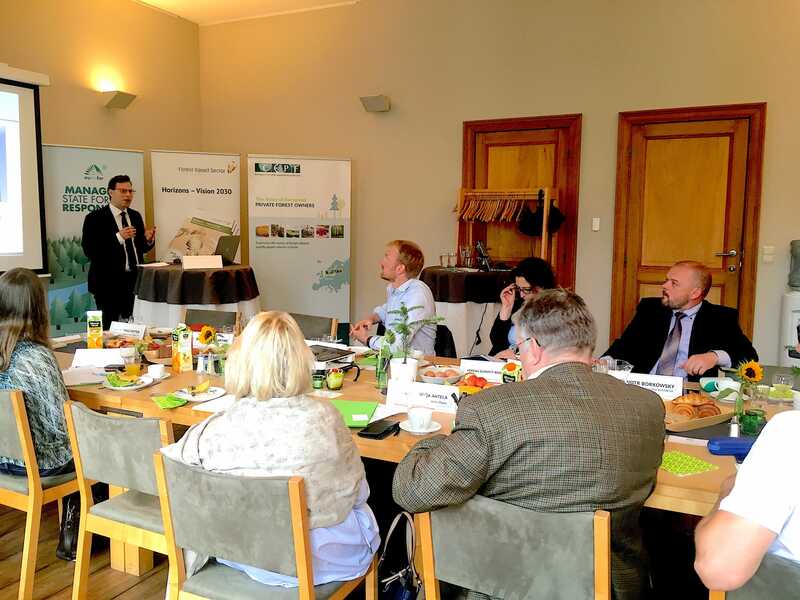 “With its unique innovation portfolio and many innovative solutions, the forest-based sector is addressing technological bottlenecks in order to foster the transition to a reliable, sustainable and competitive energy system,” affirmed Mr. Elvnert. “The search for potential new ways to substitute for fossil-based materials, fuels and highly energy intensive products is ongoing,” concluded Mr. Elvnert. PEFC and FSC have agreed to jointly collect and publish data on double certification, starting from 2016 onwards. More than 69 million hectares (or 16%) of all certified forests globally are double certified to both PEFC and FSC. This is an increase of 30 million hectares compared to data collected by PEFC in 2012. 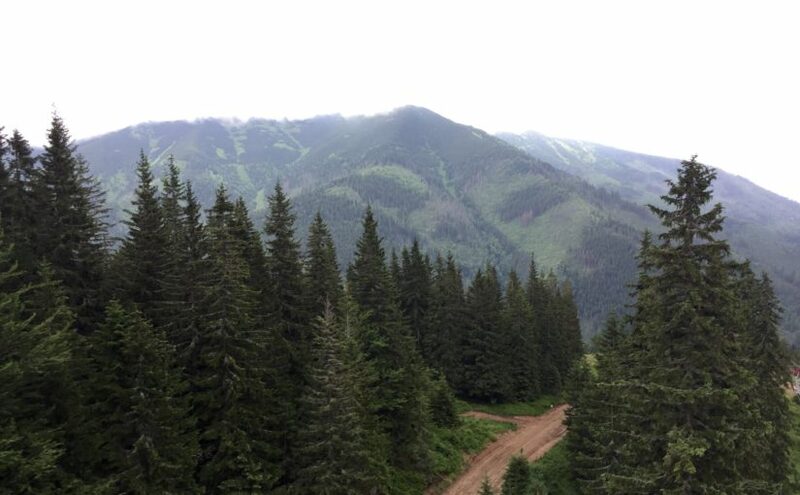 Double certification exists because foresters in different parts of the world have chosen to use both PEFC and FSC certification for their forest management units to prove their sustainable forest management practices. The data collected for 2016 shows that double certification exists in 28 countries. Removing double certification from the statistics shows that a total of 429 million hectares of forests are certified globally. 70% of these forests have a PEFC certificate. The mutually agreed data on double certification provides improved information on the extent of the total global certified forest area. Read more under this link. 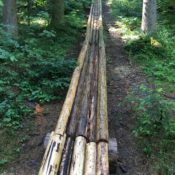 The first time ever in Poland, the Polish State Forests have launched a live stream from the osprey nest. 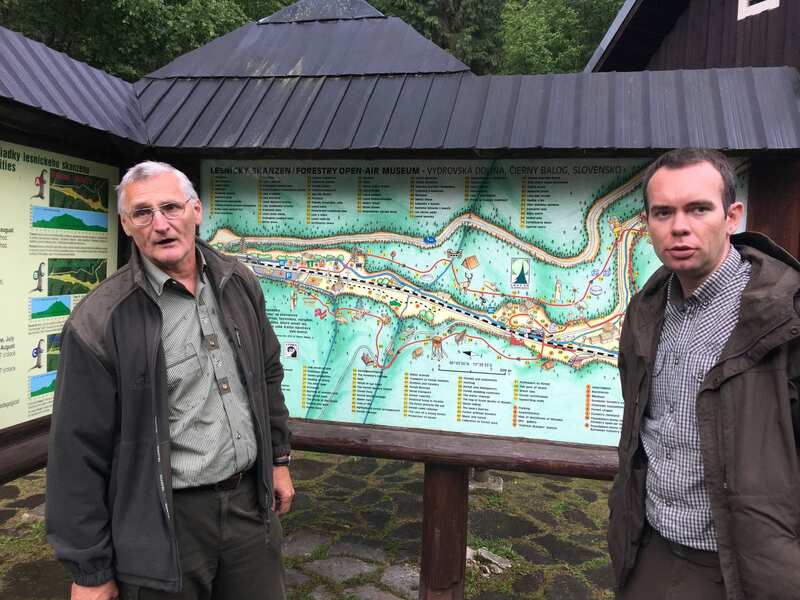 The Lipka Forest District of State Forests takes care of one of the few ospreys’ nests in Poland. A pair of those extremely rare species (only about 30 pairs in the whole country) has been nesting for many years on one of the artificial platforms. 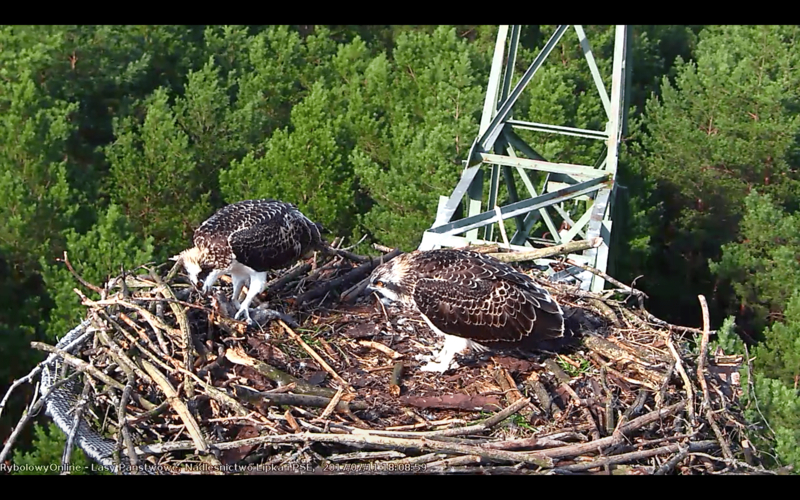 A few years ago ospreys moved their nest from a tree to an electricity pylon. During restoration from winter damage a camera was installed near the birds’ nest, which made this live streaming possible. The nest can be also observed during the night thanks to an infrared light invisible to animals. 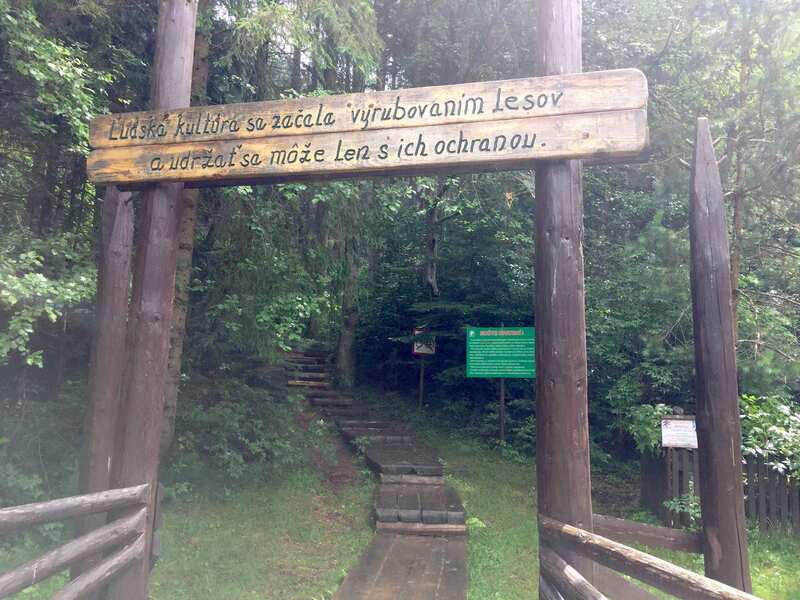 Watching wild animals online is a part of educational programme of the Polish State Forests. Previously there were live broadcasts showing the life of white-tailed eagle in Kutno and Dobrocin forest districts. Organisers of these campaingn aim not only at allowing people to observe one of the rarest Accipitriformes, but also to explain their role in the environment. 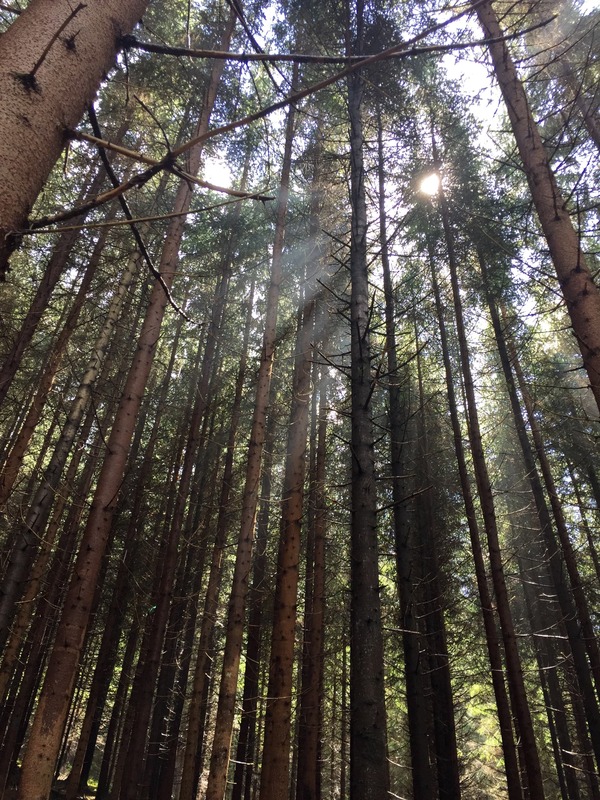 ECE and FAO are currently conducting a short survey to gather some information on perceptions of sustainable forest management and forest certification. 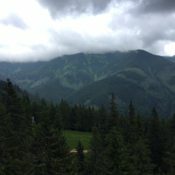 The survey is behind the following link: https://www.surveymonkey.com/r/forest-management-and-certification. The deadline for the submission of the survey is Friday, 28 July 2017. 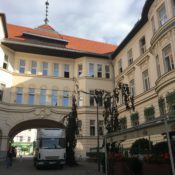 Outcomes of the survey will be presented and discussed during the International Conference Marianske Lazne +70, 5-7 September 2017 in Czech Republic. The ENVI Committee of the European Parliament today adopted the draft report of the Committee’s Rapporteur, MEP Norbert Lins, on the regulation of Land Use, Land Use Change and Forestry (LULUCF). The policy is of utmost importance for the forest and agricultural sectors as it defines the climate benefits of forest management and the use of wood. 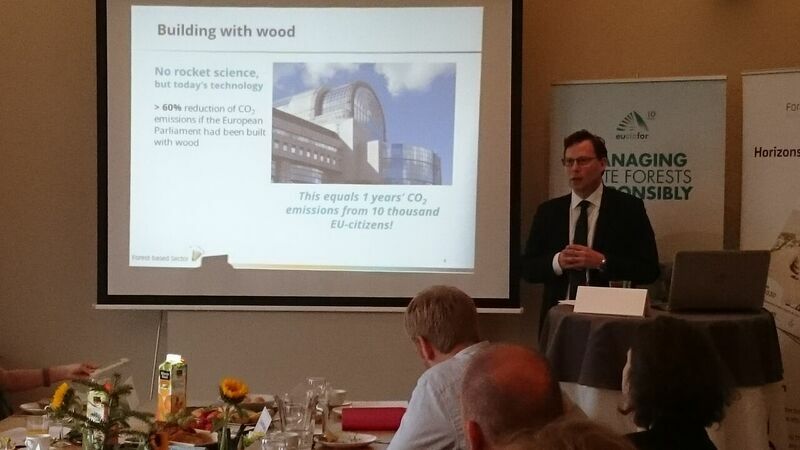 “Use of wood from sustainably managed forests is THE key to concretely tackle climate change. 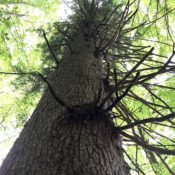 European regulators must have the ambition to set a coherent and lively Forest Reference Level to maintain the forests carbon sink and ensure proper material availability that will allow the society to fully benefit from the carbon storage offered by Harvested Wood Products,” says Patrizio Antonicoli, Secretary General of CEI-Bois. 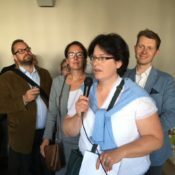 The umbrella organizations of the forest and agricultural sectors in Brussels urge all MEPs to look at the big picture concerning the climate change mitigation and adaptation of forestry. In the transition period from a fossil-based society, all outlets of forestry are needed and benefits should be examined in the long term. The recent catastrophic forest fires in Portugal and Spain show the importance of forest fire management in Europe. Forest owners and managers across the continent need to be supported in their efforts to ensure the effective implementation of preventative actions against forest fires. “The value of forest management in the prevention of forest fires must be better recognized. 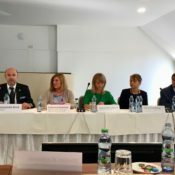 Having no management is not a solution if we want to effectively combat forest fires,” says Piotr Borkowski, Executive Director of the European State Forest Association (EUSTAFOR), whose members are often involved not only in forest fire prevention but also in firefighting on the ground. Forest fires are a major problem, especially in southern European countries. Climate conditions and changes in land use have made southern Europe’s forests increasingly more vulnerable to fire. As climate change is expected to increase the likelihood of fires, the risk of forest fires is predicted to increase if no major actions are undertaken. 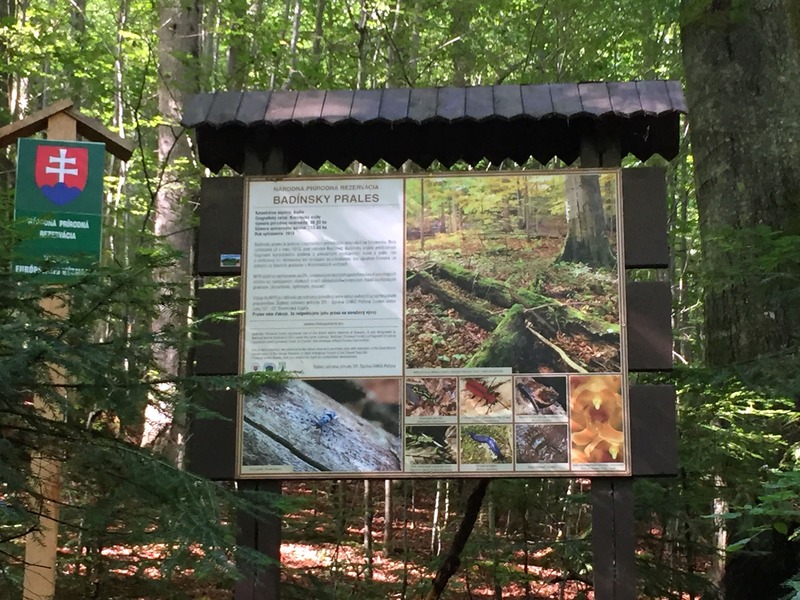 “Forest fires are one of the biggest challenges faced by forest owners and managers today. If we look at Portugal, for example, most forests belong to many very small-scale family owners who do not have the necessary resources to take preventive actions,” says Emma Berglund, Secretary General of the Confederation of European Forest Owners (CEPF). “In addition to causing human and economic losses, forest fires result in the release of huge stores of carbon into the atmosphere. 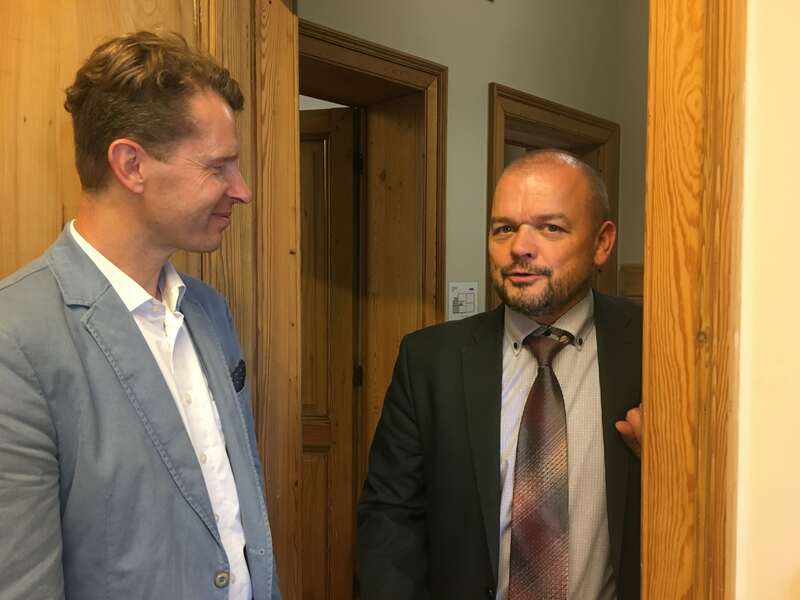 Through its policies, the EU should support establishing efficient forest fire monitoring systems and incentivize forest owners and managers to implement preventive measures which will decrease the risk of forest fires,” states Pekka Pesonen, Secretary General of Copa and Cogeca. Based on the European Forest Fire Information System, the annual burned area in southern European countries has reached almost 3000 km² during the last decade. This is bigger than the size of Luxembourg. The rural exodus observed in some parts of Europe correlates with an increased risk of forest fires. The abandonment of forestry activities and changes in land use has resulted in the increased accumulation of small-sized dry wood in forests, making them more vulnerable to fire. Today, it is evident that the role of sustainable forest management is of increasing importance for preventing forest fires. 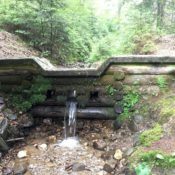 Establishing inventories of high-risk areas, developing forest infrastructure and timely performed forest tending practices are only a few, among many examples, of the ways in which forest managers and owners can provide much needed and precious know-how. Timely thinning operations strengthen the resistance of forest stands against fires and other damage while providing wood for energy or industrial processing. 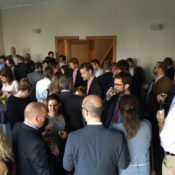 However, in many parts of Europe, insufficient market demand for small-sized assortments is an obstacle to performing these tending operations. Forest owners and managers therefore encourage European policy makers, who are currently debating on the EU climate and bio-energy policies after 2020, to promote additional market demand for low quality wood for bioenergy in order to support forest tending and thereby decrease the vulnerability of forests to forest fires. 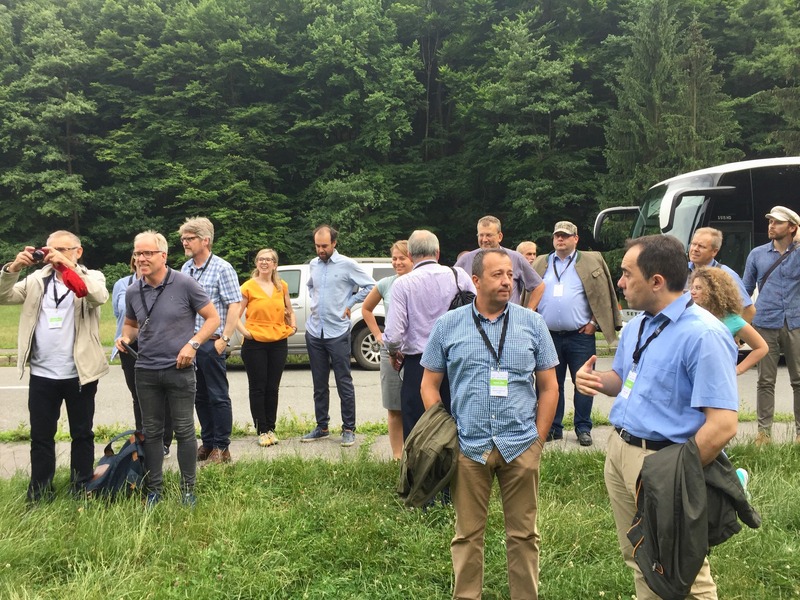 As key stakeholders in the European forestry and forest-based sector, EUSTAFOR, CEPF and Copa and Cogeca strongly support further actions by the EU and Member States to further develop forest fire monitoring and prevention measures. 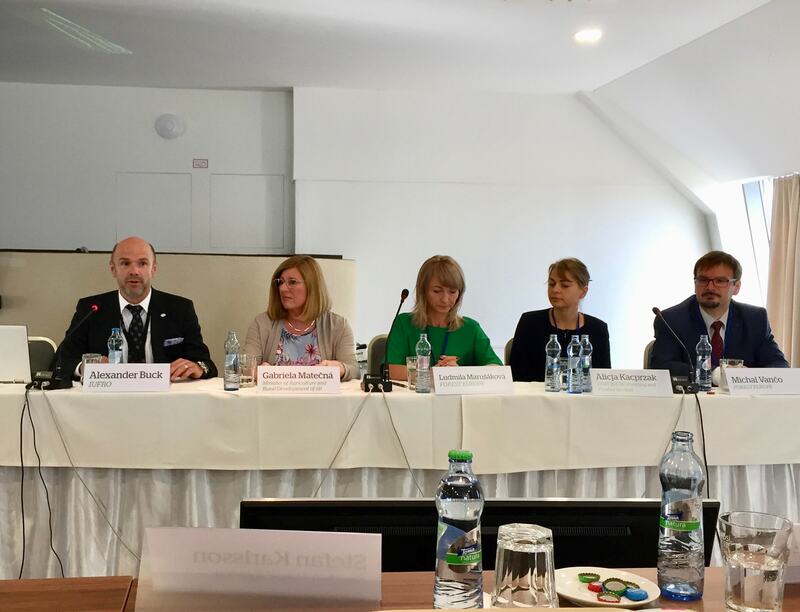 Ways to strengthen collaboration and experience sharing in the pan-European region – not only in the field of fire prevention but also for other natural hazards – should be further explored through FOREST EUROPE, UNECE/FAO and with other international partners. Forest management is needed to reduce the risk of forest fires. Pine forest in Sardinia.